Can Older Faucets Be Repaired? Usually, we can fix any faucet. However, depending on the age of the fixture and the availability of replacement parts, it can be more efficient to replace an older faucet with a newer unit. I Have Brown, Rusty, Smelling Water Coming Out Of My Fixtures, How Can I Fix This? This could be simply due to poor workmanship during the installation of your home’s plumbing system. 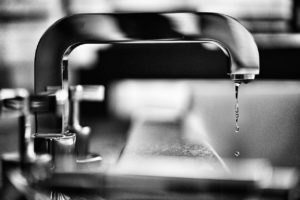 Most likely though, the brown water is a result of rust deposits inside your pipes getting heavier, and then being flushed through the pipes and out of your fixtures after being dormant for a time. Try letting the water run until you see clear water again. If the water remains brown, this could be a sign that your home’s galvanized pipes have reached the end of their life cycle and need replacing. In this case, please call us for an estimate to re-pipe your home’s plumbing system. Toilet leaks can be wasteful and expensive. Check your toilet for leaks at least once a year by adding a small amount of red food coloring to the tank. After 30 minutes, check the toilet bowl. If the bowl water is red, then water is seeping through from the tan. Replacing the flapper will eliminate this leak. In most homes, your kitchen and laundry drains are connected. When lint from the laundry mixes with the grease buildup from soap and food products, a nearly solid substance is formed causing blockage. Using filters and strainers will help, but cleaning your drains periodically is the best way to prevent clogs. Regular use of “Bio-Clean” Bacteria Waste Eliminator, a natural drain-cleaning product will keep your drains clear and free of build up. Noises can be fairly common in plumbing supply lines. 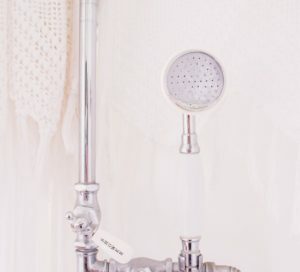 If a washer in a faucet or valve is loose, you’ll hear it rattling or knocking. If the sound occurs when you open and close faucets quickly, it generally means pipes are loose. This is easily fixed by anchoring pipes more securely. If the noise is really bothersome, adding hammer arrestors at the end of long pipe runs will reduce the noise. It depends on the model/brand and maintenance of the water heater, your water quality and the quality of installation. Typically, a 5-year model will last anywhere from 5-7 years and a 10-year model can last up to 12-years. You should check your water heater on a regular basis for any rust or corrosion around the valves and pipe connections. If you notice any leaks or rust, call us immediately. What’s The Difference Between A Conventional Water Heater And The New Tankless Units? Conventional water heaters (the most common in the US) transfer heat from a burner or coil to water stored in an insulated tank. Water in the tank (20 to 80 gallons or more) is kept heated even when no hot water is being used. Tankless water heaters don’t store water. A gas burner or electric element heats water only when there is demand. This way, you won’t run out of hot water! What Size or Model of Garbage Disposal Should I Look For? It may seem daunting to find the right garbage disposal, given all the different sizes, models and manufacturers to choose from. The main difference between disposals is the power output. Garbage disposals usually come in 1/2, 3/4 and 1 horsepower models. Depending on your needs, we recommend 1/2 horsepower models for light kitchen use, 3/4 horsepower models for normal household use, and 1 horsepower models for heavy home or small commercial use. Should I Turn My Washing Machine Spigots Off When I Go Away? Burst washing machine hoses are the #1 insurance claim in the US. Rubber hoses should be changed approximately every 3 to 4 years. A better choice is to ask us to install no-burst hoses on your washing machine and eliminate this risk, for peace of mind while you’re away. Contact Charles Moon Plumbing For Your Free Project Estimate!